In my last post I mentioned that after buying a Google Home, I wanted to try to automate some aspects of my house. After disappearing down many rabbit holes, a colleague suggested that I look at a device called a Sonoff from a company called ITEAD. 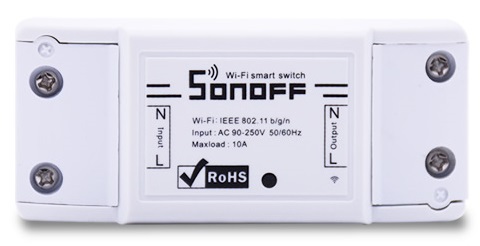 Most of the Sonoff devices are based off the ESP8266 chip, which is a simple micro-controller with built in WiFi. 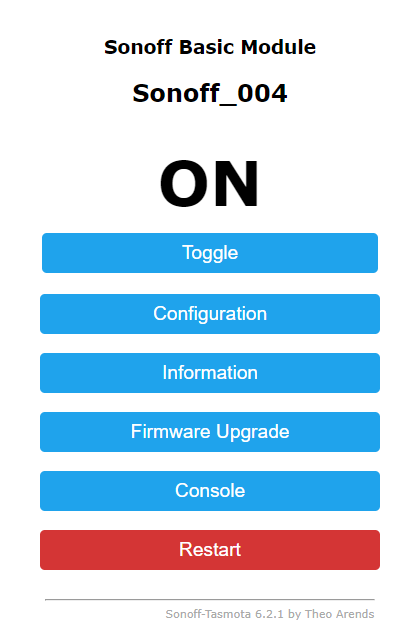 I started off with a Sonoff Basic, which is a WiFi enabled smart switch that enables you to control devices using the ITEAD app (or the Google Home/Amazon Echo). They're relatively cheap (+/- R125 or about $8) so I thought they would be a good way to get my toes wet in home automation. I however decided to complicate matters slightly. I noticed that the company I was buying it from offered to flash a custom firmware onto the device. Being the curious developer that I am, I went for that option. The custom firmware is called TASMOTA. As mentioned, my Sonoff came pre-flashed with TASMOTA. I have since bought the required equipment to flash them myself, perhaps that will be another post, but there is already plenty of content online about how to do that. To keep things simple, I installed the Sonoff inline in a short extension cord. I then plugged our lounge lamp into the new cord. I ended up using the Access Point method and configuring my WiFi details. There after I was able to switch the lamp using the button or the web interface of the Sonoff. This was all well and good, but not super useful. I needed some way to control the device remotely without having to log into it all the time. But that's the topic of my next post, coming soon.